Migrating Forms Film Festival, New York, NY. April 17, 2009. VOID for FILM : imageless cinema. Migrating Forms Film Festival, New York, NY. April 17, 2009. 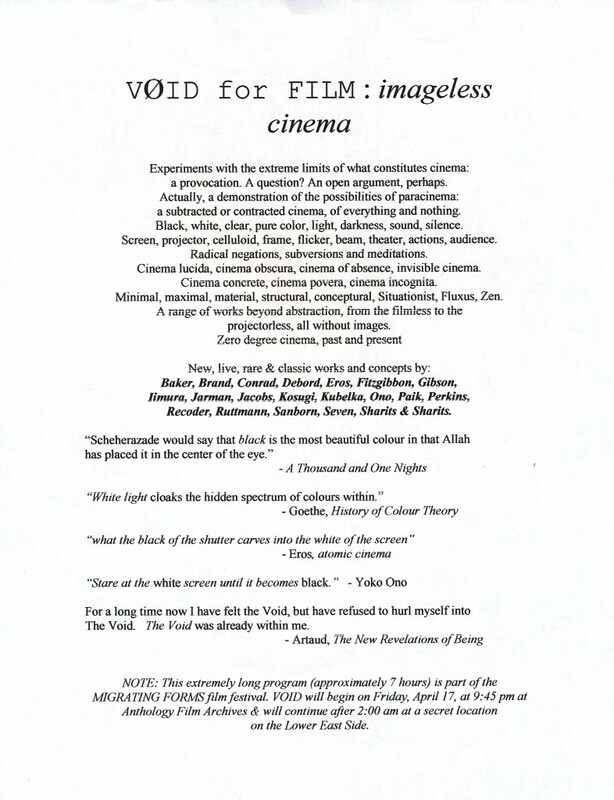 VOID for FILM : imageless cinema. Film: Internal System. 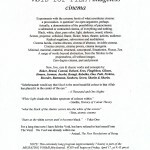 Curated by Bradley Eros.